I think my body has yet to adjust to these warmer temperatures, but I’m trying to catch up with some wardrobe modifications. 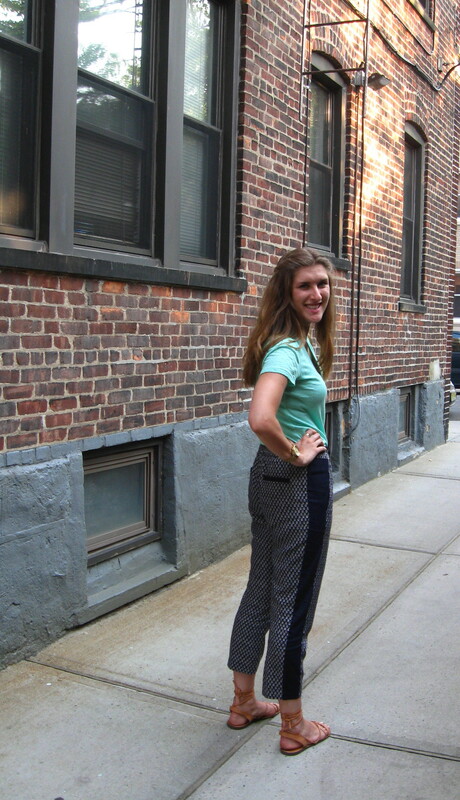 I might have mentioned before how into printed pants I am for this S/S, and these high waisted drawstring pants with racing strips really satisfied my need to be a little bit hippie and stay cool when I could be melting outside. Also really happy to own these new sandals, have really been craving some lace-ups in whatever form I can get. Style Tip: If you’re new to the printed pant trend, start with something simple, or in a more traditional color, to ease your way into full fledged obsession. Dont forget to subscribe to Steeped in Style for more outfit posts, trend reports, and style tips.